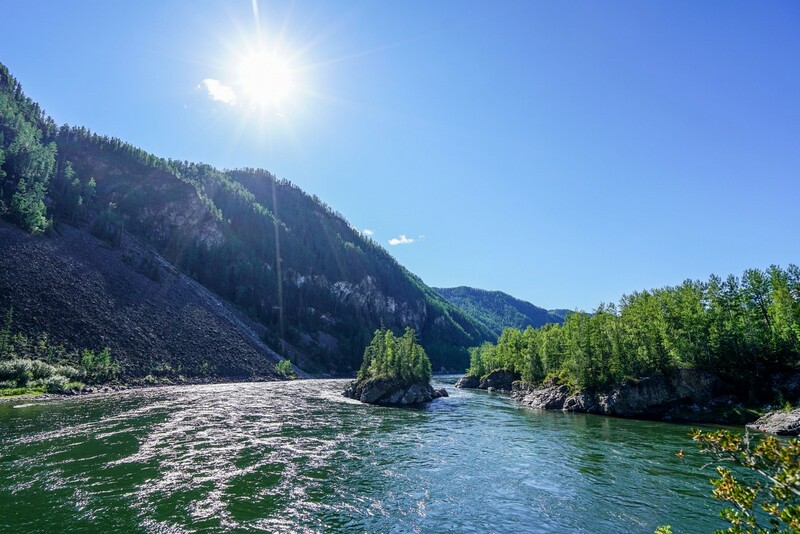 Sayan and Yenisei: the rapids. 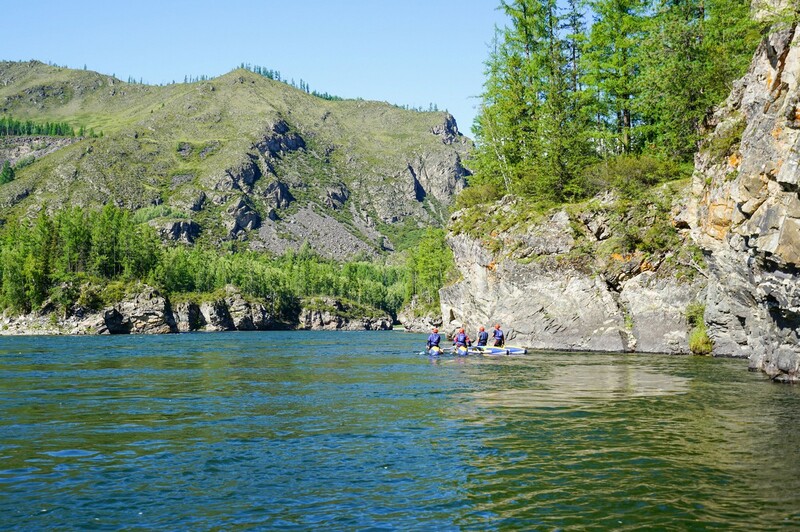 Rafting on Balyktyg-Khem and Ka-Khem (aka the Little Yenisei) was pretty chilled – there were no particularly dangerous rapids to speak of. The plan of action was simple: keep paddling along the main part of the river, keep clear of rocks and immediately obey the captain’s orders. The instruction that our crew performed fastest was “Stop!”. There were only a few rapids, probably five. Apart from that there were sand bars with light riffles, fast sections, two or three standstill sections. For rafters, standstills are an inconvenience – you have to paddle! Thankfully, we always had the wind at our backs, or there was no wind at all.